Our girl model is 9 years old and 134 cm tall. 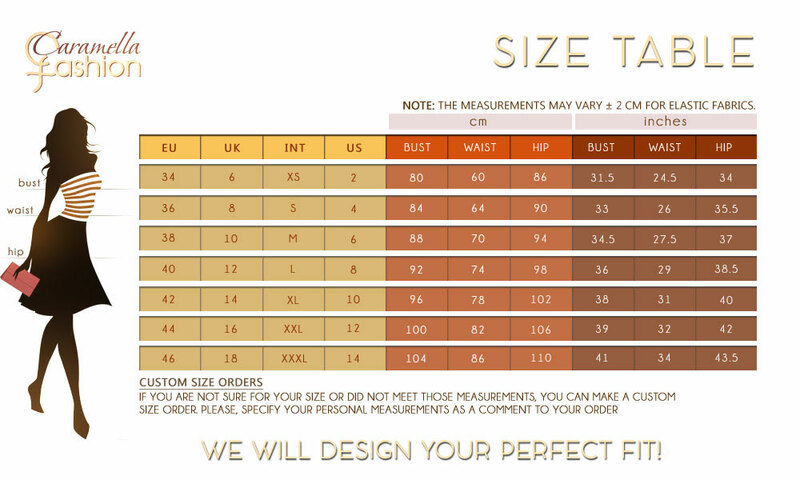 We accept custom size orders, please leave us a message with your girl's measures in the comment field before purchasing your product. - High collar and V-neckline - Short sleeves - Pleated front and back waist - Side slip in pockets - Long hem - Flared skirt - Casual WASHING INSTRUCTIONS : Wash delicately Composition: 100% cotton - Set price - 10% discount of each of the two separate products Mark the kid’s size in “additional information” field on your order sheet. - One bare shoulder - Shoulder frills - Waist ribbing for volume top - Flared skirt with pleats - Knee length hem - Blue ocean color Composition: 100% polyester WASHING INSTRUCTIONS : Wash delicately - Set price - 10% discount of each of the two separate products Mark the kid’s size in “additional information” field on your order sheet.